To collect Monkling you have to break the orange candy around the orange border. 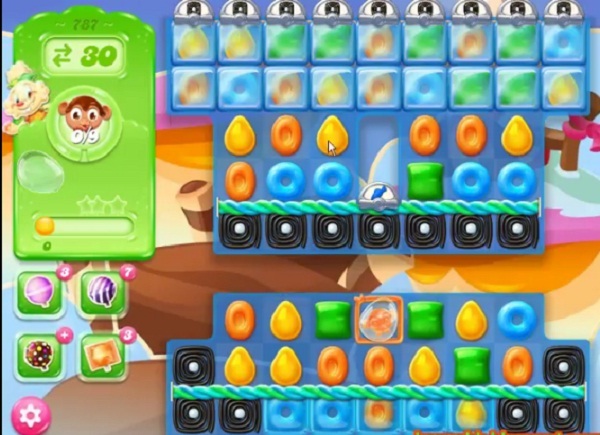 You could play from bottom to move more candies and make special candy by matching more same color candies. Use them with other special candy to get more chance to move the Monklings that you get and to collect them. You will need to save some special candies and use them when more Monklings are in board that you could use to collect more than the boss.